These bumpy little fellows are poor photography models, because they don't like to sit still when exposed. They don't move fast, but they generally start plodding away exactly one instant before you snap the shutter. 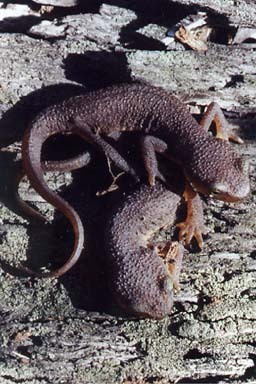 Days of drizzle had bestirred the adult newts, and many of them were crawling about on the forest floor. This one is a full-sized adult, unlike the two in the previous picture. 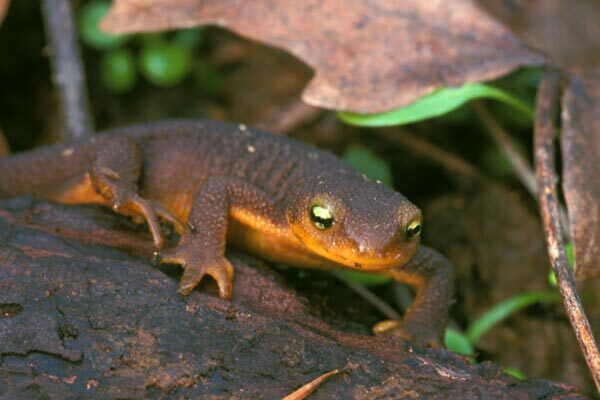 A year later, another trip to this same newt-infested area revealed a healthy population. 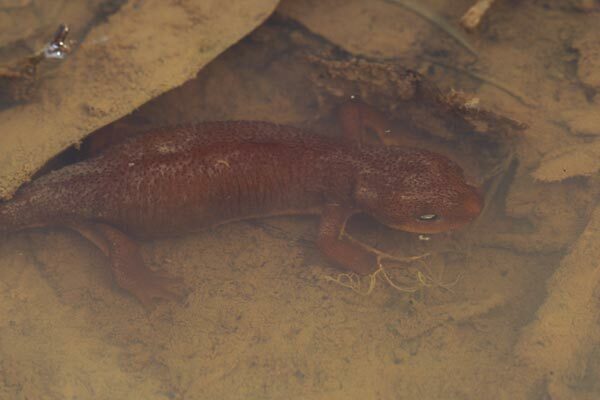 We counted 18 newts in a couple of hours of hiking along a muddy dirt path. A few of them were plodding along like the first fellow here, but most were lurking in muddy puddles like this second one. This massively gravid female was under a log with another identical one. 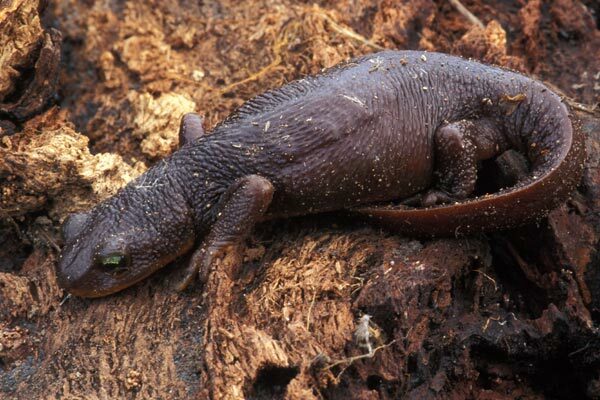 I can't believe that she could last more than another day or two before laying her clutch of eggs; you just don't see California newts any thicker than this. 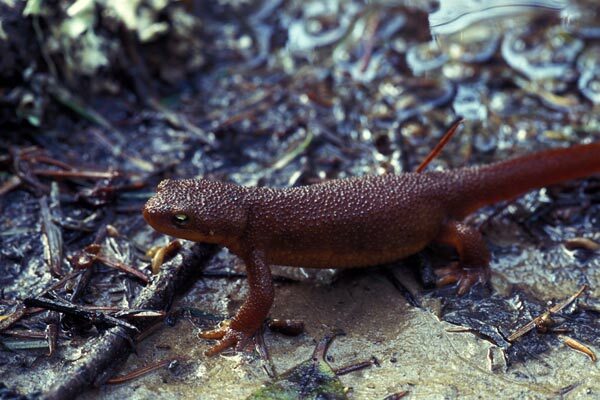 A page on the California Newt with several photos, from the North American Reporting Center for Amphibian Malformations.